General description : The Jaguar stand at the 1948 London Motor Show was the source of quite a few milestones for the Sir William Lyon’s still-fledgling car company. History books recall it as the place where the sensational new XK120 made its debut, however the new sports car shared the stand and the limelight with Jaguar’s latest saloon, the Mark V. While the XK120 stole the headlines with its stunning looks and luscious twin-cam inline-six, the Mark V was equally as sophisticated, if just a bit more understated, than its sporting sibling. Most notably, the Mark V was the first all-new Jaguar since the end of World War II. Since it beat the XK120 to production, it was also the first Jaguar to use hydraulic brakes, independent front suspension, pressed steel wheels, and it became the first production car to use sealed ball-joints in the front end; a design that was soon adopted by virtually every major auto manufacturer since. The Mark V featured elegant styling, retaining a traditional English formality while the XK120 hit the streets with its sultry feline aesthetic. 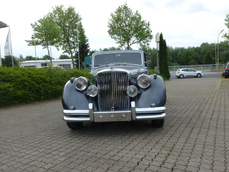 Mk V buyers had a choice of either a closed saloon or the equally handsome open drophead-coupe. Power came from either a 2 ½ litre or 3 ½ litre single-cam pushrod inline six-cylinder engine, derived from a Standard unit used in the Mk IV and SS100. 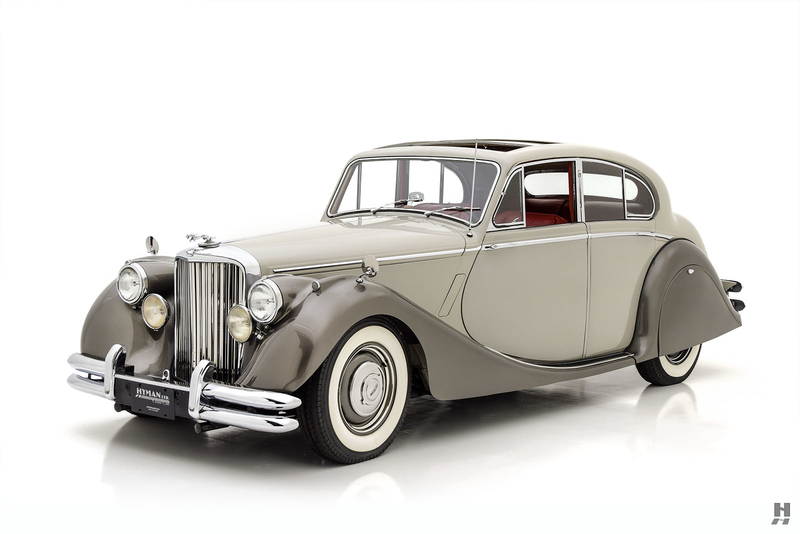 The Mark V remained in production for just 28 months, with a touch over 10,000 units built before the updated, XK-powered Mk VII replaced it (skipping the Mk VI moniker because of its use by Bentley). Collectors covet these rare and beautiful Jaguars for their swoopy baroque styling, luxurious accommodations, and sporty road manners. Particularly in 3 ½-litre form, they return excellent performance and in many ways, are akin to a “poor man’s” Bentley Mk VI. 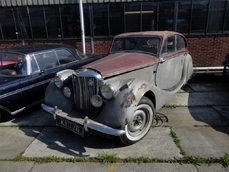 This is a handsome example of the Jaguar Mk V Saloon, in desirable 3 ½-litre specification. Finished in an attractive two-tone combination of dove gray over smoke silver wings, this is a lovely car, wearing a well-maintained older restoration. 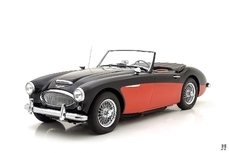 According to the Jaguar Daimler Heritage Trust, this car is a genuine 3 ½ litre model, delivered new to the United States via the legendary Max Hoffman Imports in New York. 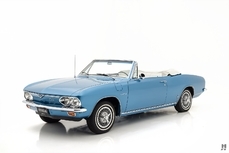 The extensive history file shows this car was purchased in the 1970s out of Phoenix, Arizona by John J. Connor of New Jersey. Mr. Connor owned the car for many years, eventually performing a ground up restoration. The Jag had additional restoration work done in the 1990s and has since been lovingly tended to by a series of enthusiast owners. It presents in attractive condition with the glossy paintwork now showing a few touchups and minor imperfections acquired from age and use. Brightwork is excellent, with tidy, straight bumpers and the radiator shell presented with good plating with some light polish marks in the finish. Options and accessories include a factory sunroof, leaper mascot and a pair of Lucas fog lamps. 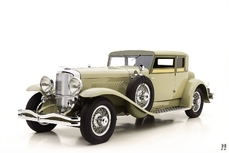 Factory correct pressed steel wheels wear original style wheel covers, fitted with updated wide-whitewall radial tires. Upholstery consists of beautiful red Connolly hides with red Wilton wool carpets and burl walnut trim, conveying the warm and inviting character in the classic British tradition. The high-quality leather shows some slight creasing on the seating surfaces, particularly in the front seats, which serves to add to the charm and appeal. Matching red door panels are excellent. Extensive wood trim features on the door caps, dash, windscreen surround and even the around sunroof-opening. The finish quality of the woodwork is quite good overall, with a few minor cracks and imperfections found that does little to detract from the otherwise excellent cabin. The wool headlining is outstanding, with matching upholstered sun visors that fit flush against the roof. 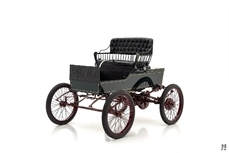 The coachwork allows plenty of room for four adults, with a generous boot for everyone’s luggage. A hallmark of the Mk V is the extensive tool kit, cleverly hidden within the bottom-hinged boot lid. This car’s tool kit is nearly complete, with excellent quality original tools and correct green flocking in the storage panel. 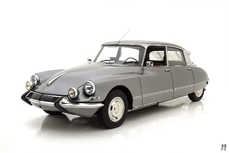 A period-correct 3 ½-litre inline six resides under the bonnet, fed by a pair of S.U. carburetors as originally fitted. With a useful 125 horsepower on tap, performance is brisk, hinting at Jaguar’s sports saloons of the future. Honestly presented with factory-correct finishes, the engine is appropriately detailed, and it runs well. The inline-six mates to a floor-shifted four-speed manual Moss gearbox which contributes a good deal to the Mk V’s sporting character. This handsome Jaguar is a usable and desirable example, well-suited to casual touring and club events. The older restoration remains crisp and attractive, and the lush cabin is a beautiful place to spend a day of motoring. Built in relatively low numbers, Jaguar’s beautiful Mk V is an important milestone in the firm’s history, as the first all-new post-war model, and as a precursor to the legendary sporting saloon cars that would soon follow in its wheel tracks. 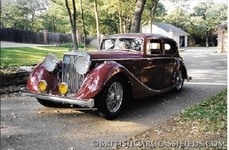 1950 Jaguar MkV Saloon is listed sold on ClassicDigest in St. Louis by Mark Hyman for $49500.